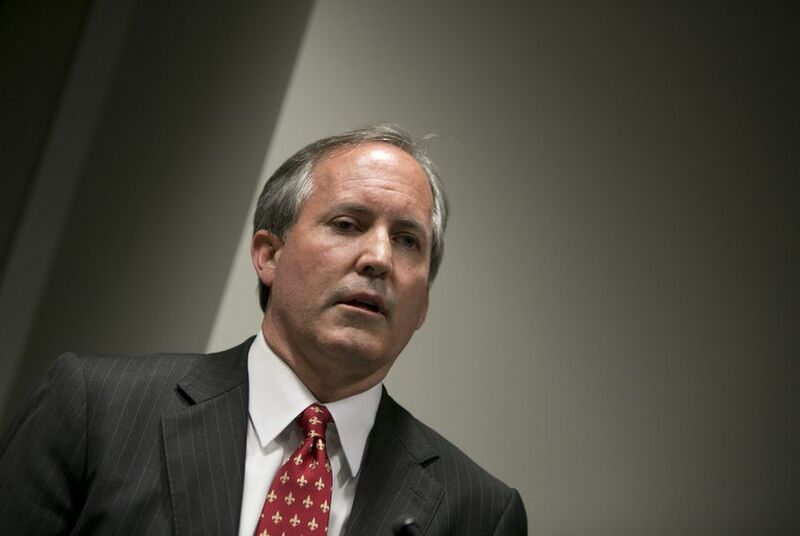 Editor's note: This story has been updated with a comment from a lawyer representing Attorney General Ken Paxton. The prosecutors say Judge George Gallagher should move the case out of Paxton's home county because he and his associates have waged a "22-month siege" against the prosecutors, witnesses and the court. The trial is set to begin May 1. "Over the course of almost the last two years ... Paxton's posse of spokesmen, supporters, and surrogates — a clique herein collectively referred to as "Team Paxton" — has embarked on a crusade clearly calculated to taint the Collin County jury pool," the prosecutors wrote in a filing Thursday. The prosecutors cite several examples, including a Paxton supporter's lawsuit against the county to limit prosecutors' pay. Last month, a Dallas appeals court stopped payments to the prosecutors as a result of the lawsuit. Paxton is accused of misleading investors in a company before he became the state's top lawyer. He has denied any wrongdoing in both the criminal case unfolding in Collin County and a similar, civil case at the federal level. Paxton’s lawyers fired back at the request to change venue, with one of them, Philip Hilder, saying they "vigorously deny the twisted and distorted allegations." They also suggested that the prosecutors have been hypocritical by previously seeking the same kind of media attention they are now accusing Paxton and his allies of pursuing. "Ken Paxton, like all Texans, has the right to be tried in the County he was charged in," Paxton lawyer Dan Cogdell said in a statement. "The Special Prosecutors have filed a 60-page pleading trying to thwart that right. That these prosecutors are somehow painting themselves as 'victims' of some nonexistent conspiracy is extremely telling."